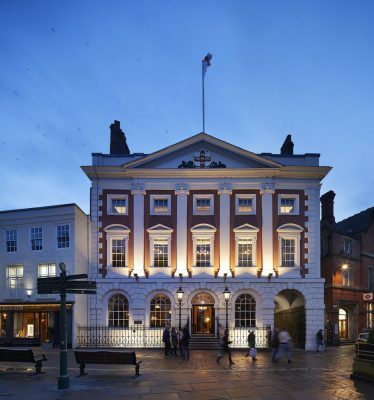 York Mansion House, York is one of thirteen buildings have been shortlisted for RIBA Yorkshire (Royal Institute of British Architects) 2018 Awards; the winners will be announced at an Awards evening at The Museum Gardens, York on Thursday 24 May. 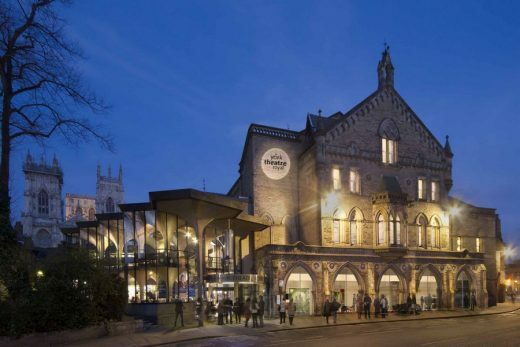 The first significant change to the building since Patrick Gwynne’s ground-breaking poured concrete and glass extension was added to the Victorian theatre in 1967, this redevelopment has improved access throughout the building, added a spacious open plan foyer and doubled the café area. The gothic colonnade, once exposed to the elements, has been enclosed by glass, creating a warm and inviting entrance. “Since 1999, De Matos Ryan has completed a wide range of projects that demonstrate our expertise and enthusiasm for design. March 12, 2018 in Architects.